Vantage Siam Co., Ltd. is Thailand’s authorised Cambridge English Language Assessment Centre, offering a full range of English exams for both the corporate and academic sectors. This includes the Business Language Assessment Test (BULATS), the Key and Preliminary English Tests (KET & PET), and Young Learners Exams (YLE). Our Cambridge English Exams are seen as the most valuable English qualification in the world. More than 3 million students sit these exams in more than 130 countries every year. Cambridge English exams set the teaching and training industry standard for accuracy, quality and reliability. 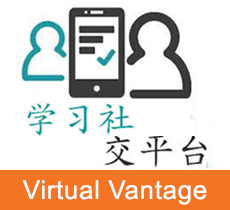 Vantage also offers a one-stop service for our corporate clients including language testing, designing and conducting custom training programs, blended or eLearning programs, and workshops. Our proven track record of success in both testing and training is built upon our expertise in language assessment and training design, as well as our total commitment to customer service. We are also proud to introduce to Thailand the “Picaro” blended learning system, a cutting-edge game-based English curriculum for young learners, developed in partnership with Cambridge. Picaro is the first English course based entirely on games or “gamification” and gives children a head start in English they need to succeed in today’s global world.